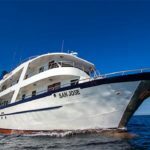 M/Y San Jose: The San Jose is 16-passenger yacht, designed for navigation in the Galapagos Archipelago. 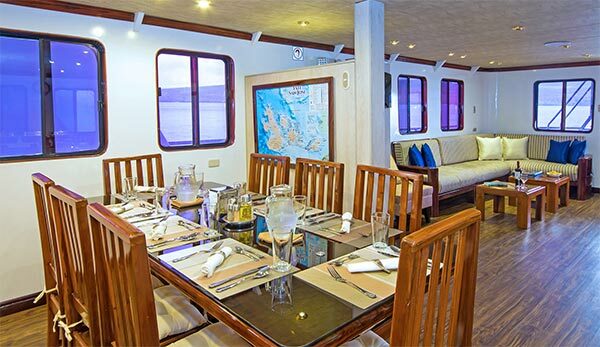 The yacht was carefully planned and built during 2004 in Guayaquil, Ecuador with the comfort of her guests in mind. 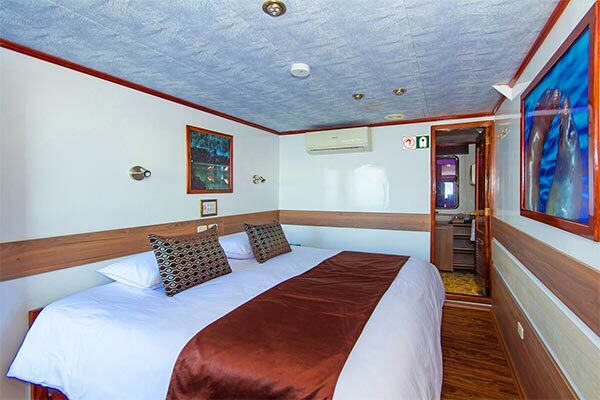 Each of the eight double cabins has full air conditioning, a private bathroom, and is incredibly spacious. 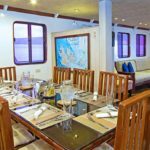 Additionally, the engine room is located below the living and dining room, to ensure minimal disturbance from engine noise during navigation. 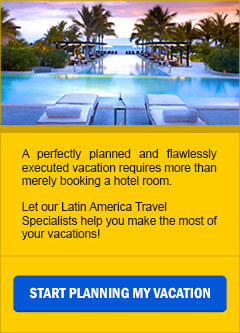 The social areas include a lovely dining room, lounge, bar, TV, DVD, and a small library. 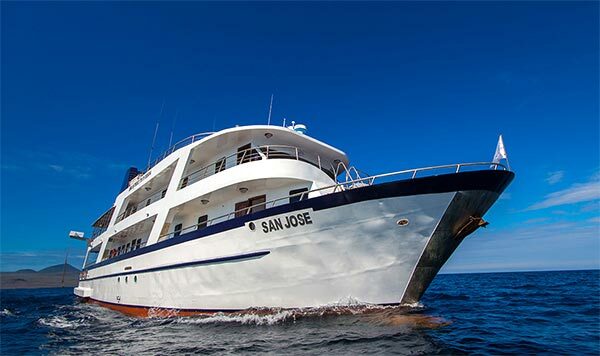 The San José also offers plenty of outside areas to relax and enjoy the natural sceneries of the Galapagos Islands. 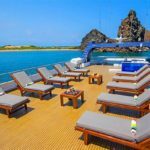 There are various carpeted deck areas with reclining chairs and an outdoor bar. 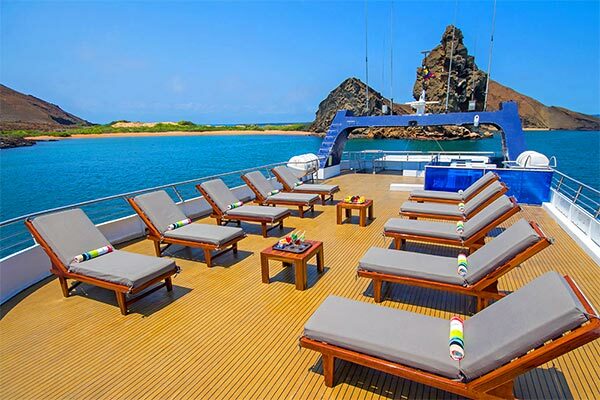 On the top deck, there is a sun deck which is great for relaxation and panoramic views.